Martin Jacobson has arguably been this millennium’s most-skilled WSOP Main Event champ prior to winning the prestigious tournament. How Jacobson performs following his Main Event victory is an open book, but so far, he’s off to a great start after recently finishing runner-up in an EPT Prague side event (€60,000). Many people have heard bits and pieces about Jacobson before and after winning the 2014 ME – i.e. he was a chef, had over $4.5 million in tournament winnings, never won a major title despite plenty of second and third-place efforts. But if you’ve been wanting an expanded take on Jacobson’s actual Main Event experience, then you’ll want to check out a new feature that PokerNews did on him. As the Swede explains in the following piece, he had never made it past the Day 2 dinner break in previous ME’s. But the seventh time was a charm as he ran through the field and won the $10 million top prize. Jacobson also explains how great it was to make the November Nine, although he admits that he would’ve liked to have had “more chips at that point,” starting the final table in eighth place. It is this help from players that propelled Jacobson to the victory. But enough talk…check out the two parts of this interview below (about 14 minutes long). 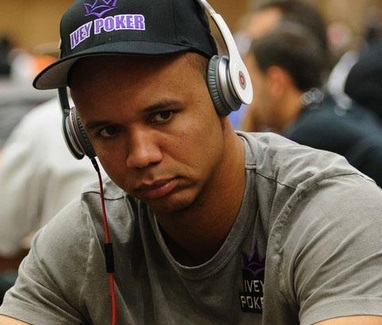 The 2014 WSOP Main Event featured some interesting history on the European side. 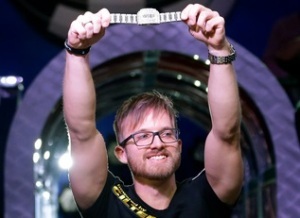 First off, Martin Jacobson became the first Swedish player to win the tournament, collecting a $10 million payout in the process. And with Jacobson, Norway’s Felix Stephensen (2nd) and Netherlands’ Jorryt van Hoof (3rd) taking the top three spots, this is the first time in WSOP history that Europeans have gone 1-2-3. But is this just a rarity, or something that we can expect to see more of? There were pretty good odds that a European champion would emerge because van Hoof and Stephensen came on to the final table with the first and second-most chips respectively. 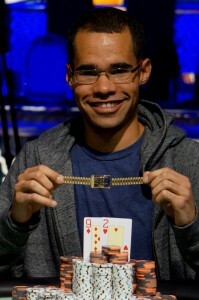 However, for the Europeans to sweep the top three spots – with four Americans on the final table – is a new landmark in the game. And according to Aaron Todd of CasinoCityTimes, we can likely expect more of this moving forward. Todd’s argument stems from the fact that much of Europe has easier access to online poker. After all, multiple nations throughout the continent have taken steps to regulate the online game. Meanwhile, the United States has seen less and less regulation, thanks to the 2006 UIGEA and Black Friday (2011). The latter was especially a big blow because it took away Americans’ access to the biggest sites like PokerStars and Full Tilt. In the last four years, 33.3 percent of the final table players have been European, 55.5 percent have been American and 8.3 percent have come from outside of America and Europe. In the previous eight years, 73.6 percent of the final table players have been American, 16.7 percent were European and 9.7 percent were from other areas. When looking through the 2014 November Nine, not many people gave Martin Jacobson a realistic chance to win. After all, he was sitting with 14.9 million chips – just the eighth-largest stack out of the remaining nine players. But through a combination of incredible poker skills and running good, Jacobson worked his way out of this hole and on towards the 2014 WSOP Main Event title. By the end of the first day, when only three players remained, Jacobson, put himself in second place. His final opponents were Norway’s Felix Stephensen and Netherlands’ Jorryt van Hoof, with the latter holding the chip advantage. Many would have picked van Hoof to win simply because the poker coach had the chip edge, looked confident and was playing aggressively. However, he lost a huge pot against Stephensen during three-handed play and things went downhill from here. Once he busted out, it was Stephensen (58.5m chips) facing off against Jacobson (142m chips) for the title. Based on winning pots alone, this was a pretty even matchup, however, the difference-maker was Jacobson’s ability to win the big hands. The end was rather anti-climatic since it took the Swede just an hour to beat Stephensen. Regardless of how easy the heads-up match was, Jacobson’s come-from-behind victory will definitely go down in WSOP lore. Furthermore, he’s also the first Swedish player to win the Main Event. Want more history? How about the fact that his $10 million payout ranks just behind Jamie Gold ($12m) in Main Event history. His live tournament winnings have now surpassed $14.8 million, which moves him up to ninth place on the all-time money list. Jacobson also passed Chris Bjorin to become Sweden’s biggest all-time winner as well. Check out how the entire Main Event final table fared below. 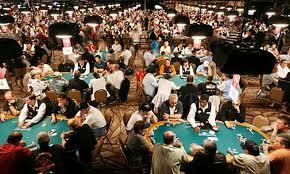 It’s commonsense that you want to build your chip stack in the early stages of the WSOP Main Event. But for the superstitious types out there, you might consider that being in the lead of the 2014 WSOP Main Event is almost like a curse. Don’t believe us? Just take a look at what’s happened to chip leaders from the first five days of the Main Event. As you can see here, it certainly didn’t pay for Luxemburger or Tracy to grab early chip leads in their flights of the tournament. However, the 2014 Main Event has treated Jacobson pretty well since he still has a good shot at the November Nine going into Day 6. All that anybody could talk about following the second day was how Ivey was leading the field. Unfortunately for the 10-time WSOP champ, he quickly lost his chip lead on the third day and continued falling. As for Stansifer, the unknown amateur’s cinderella story ended with him barely cracking the top 300. With the field consolidated on Day 3, Liporace lived up to his name by racing out to the chip lead. And while he didn’t do too badly by finishing 159th, he probably dreamed of more glory when he was atop the leaderboard on the third day. Haugen’s Main Event title dreams are on life support as he’s sitting in 71st place with 760,000 chips. It took just one day for him to tumble down the standings. We’re now entering Day 6, so it’ll be interesting to see what Newhouse can do. He made the November Nine last year, so he’s definitely got some experience. And with just 79 players left, Newhouse has a very realistic shot at becoming the first two-time November Niner. Entering this weekend, Benny Chen was the biggest winner of the 2013 WSOP after he took down the Event #6 “Millionaire Maker” along with $1.2 million. However, this total has been blown away by Anthony Gregg since he recently won the Event #47 $111,111 One Drop along with $4,830,619. Gregg captured this prize after navigating though an interesting 166-player field, which included both top poker pros and businessmen. One of these businessmen was Skylar Capital Management CEO Bill Perkins. Entering the final day, where just four players remained, Perkins held a slight chip lead over Gregg. However, there was no safety in this lead as Perkins was quickly eliminated along with Antonio Esfandiari. Esfandiari was a very interesting story throughout this event because he won the WSOP Big One for One Drop and $18.34 million last year. But he was unable to repeat in this year’s smaller One Drop tournament after being knocked out just before Perkins. This left Gregg and Chris Klodnicki playing for the massive $4.83 million top prize. These two skilled veterans battled back and forth for well over an hour, but Gregg was finally able to gain the upper hand and eliminate Klodnicki. On the final hand, a short-stacked Klodnicki shoved on the flop with an inside straight draw, and Gregg called with top pair. The board helped neither player, which gave Gregg the victory. Thanks to his latest score, the Columbia, Maryland native now doubles his winnings to an impressive $8,631,300. He’s also the biggest winner at the 2013 WSOP, though this will change when the Main Event finishes up in November.